Necklace | That Belongs in a Museum! 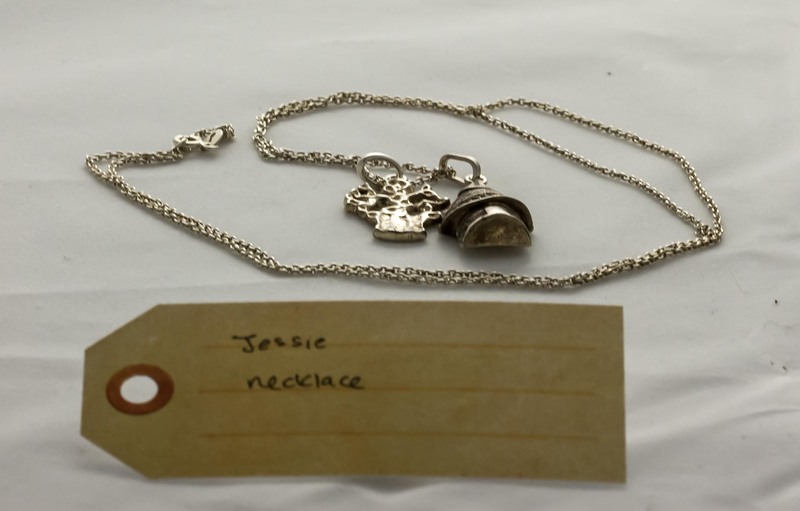 Jessie told us a tale of her experience in the Peace Corps in a village near Dakar, Senegal, where a young suitor gave her this necklace. The necklace outlasted the guy, but it serves as a reminder of her friends, and that home is wherever you find yourself, and wherever you have close friends who will let you sleep in their guest rooms until you find a permanent address.